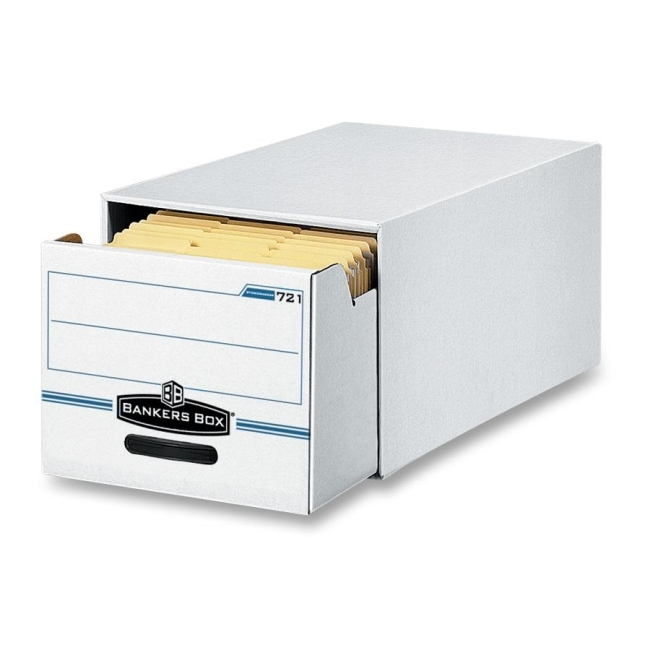 Bankers Box Storage Drawer - 10.25" Height x 12.25" Width x 23.50"
Storage drawers are designed for light-duty stacking and storing. Ideal on metal shelving units for infrequent file retrieval. Stack up two units high to save space. Drawer has reinforced front and back drawer panels. Sides and back also have multiwall thickness for lasting strength and reliable performance. Reinforced plastic handle provides easy drawer access. Each storage drawer contains 65 percent recycled material.